In December, the ‘Jardin Urbain’ Association together with the Town Council of Lausanne announced that Balmori Associates is on the shortlist to create one of twenty-five mobile gardens in Central Lausanne, Switzerland. Selected from a pool of over 400 applicants, Balmori enters the second phase of the competition with the task to re-use an existing rooftop under the program’s broader concept ‘Landing’. In recent years, Lausanne has aimed to integrate contemporary 21st century design into the historic fabric of the city. In 2010, the Rolex Learning Center, designed by SANNA, opened at the Ecole Polytechnique Fédérale de Lausanne opened. 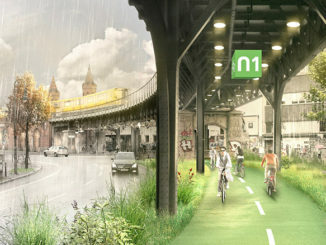 In 2011, international teams were called upon to master plan the Pôle Museal et Culturel, a tight urban arts district adjacent the city’s central train station. Competitors included Allied Works (US), Kengo Kuma (JP), Nieto Sobejano (ES) and Gigon/Guyer (CH), among others. Sir David Chipperfield (UK) served as the chair of the jury. Lausanne Jardin 2014 aims to investigate the potential for creating and planting temporary gardens that will form a route through the 15th century city. 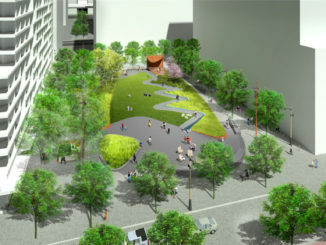 A public exhibition of the submitted designs is scheduled for April 2013.